Steps to Shands and UF Campus and Sororities! This CAMPUS VIEW beauty has it all! Spacious unit has everything you'll need to start the year off right. 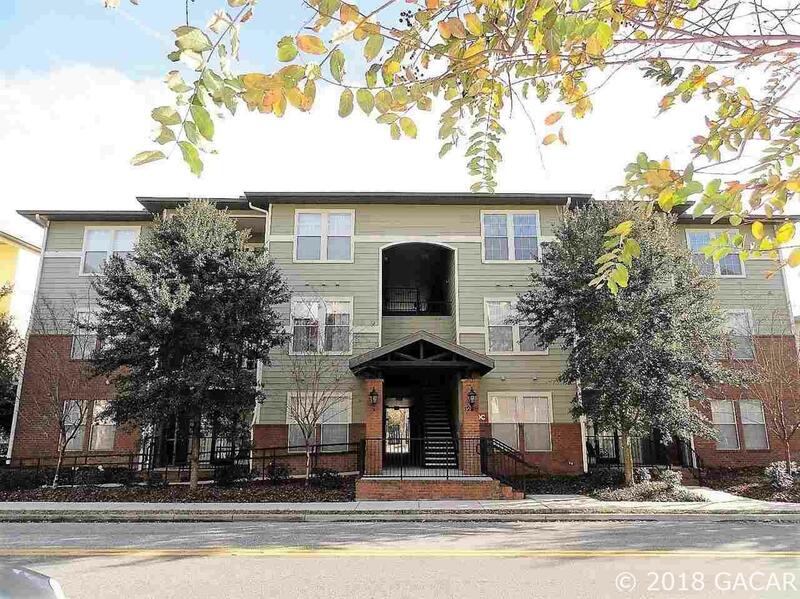 The ground floor unit features include 9 ft ceilings, TILE throughout, SPACIOUS living area, separate dining, UPGRADED kitchen cabinets, side/side refrigerator, chair molding, crown molding, six panel doors and so much more. Also enjoy relaxing evenings from your large covered PORCH. Unit comes with TWO assigned parking spaces.